Summer is one of the most eagerly awaited seasons for many kids across the world! As schools close for vacations, there emerges a lot of free time to indulge in play and activities. 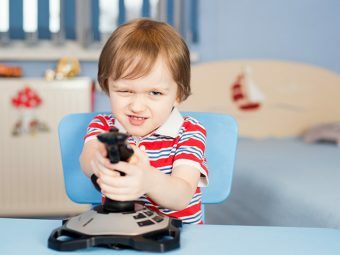 As a parent, you might sometimes run out of ideas of how to keep your kids involved and entertained. Here is where crafts come into the picture. 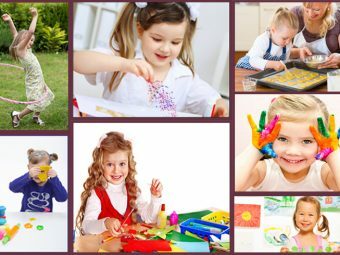 Craft based activities let your kids explore a new aspect of their personality which they might be unaware of. A range of craft ideas can be tried at home, thus helping your kid make the best of his or her summer vacations. You need 2-3 glasses for this ‘Do it yourself (DIY) Project’. Turn all the glasses upside down while painting these in downward strokes. Use the handle edge of the paintbrush to create dots on the glasses. Use multiple colors to create all sized dots. Let the glasses dry for over 48 hours. This will create a unique design. Your kids will require a toilet roll for making this unique design. Cut the roll into five strips. Glue them in such a manner that it gives the appearance of a flower. Let your kids paint these flowers in their choice of colors and patterns. Use a length of ribbon to hang the flowers. For this, your kids need old newspapers and some pebbles. Cut alphabets from old newspapers. Glue these to some flat pebbles, which you and kid need to collect before. Add some varnish and let these dry. Your kids can make words and sentences from these pebbles which have the impressions of the letters. Encourage your kids to make names out of these pebbles and let them place these in a box. Use old cartons for creating unique self-made toys. Cut a hole on the top side of the carton. Encourage your kids to color the carton as per their preference. Make a sail using a drinking straw and paper. Let your kids sail it in the pool or a nearby lake. The excitement of seeing their creation sail through will surely encourage them to try many such innovations. Feeling the summer heat? What’s better for your kids than creating their own windmill? Cut these into equal parts and hold together with a pin. Fold the paper halfway backwards. Use a stick to hold the design. Your very own paper windmill is ready to beat the heat! Your kids will definitely love the idea of running around with their designer sticks. The ribbons flying around in the summer heat will make playing with these all the more fun. Your kids will need a cardboard tube for preparing these designer sticks. A foil tube can also be used. Cut these cardboard sticks into a size that your kid can hold comfortably. These tubes can be either painted or covered with paper to make them look elegant. Lengths of paper, tissue and ribbon can be tied on one end of the stick to give it a designer look. Playing with water is something that all kids love. Your kids will require some colorful pieces of old sponges. Cut these sponges into strips. Tie them up through a string in such a way that they give the appearance of a ball. After that hand it over to your kids and ask them to dip these sponge balls in water. Watch them get naughty as they throw these sponge balls at each other. What better than to watch your kids keep their shoes in order in shoe boxes created with their tiny hands! Take a cardboard box and cut it from two opposite edges. Your kids can create a multi-level shoe box by making a ramp. They then need to give support to the ground level by placing some cardboard tubes on the sides of the ground level. 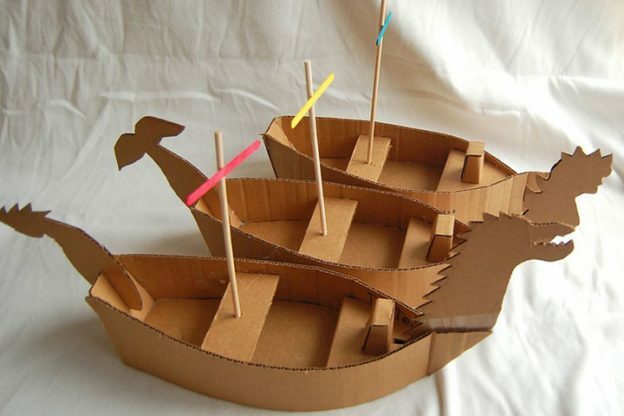 Let your kids get creative by helping them place their toys on the upper level of the cardboard box. 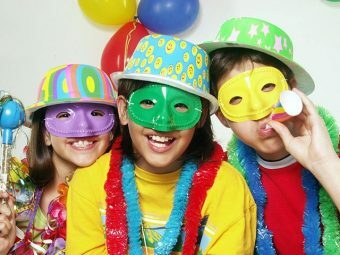 Encourage them to try many such ideas and you will be amazed by the creative instinct that your kid possesses. Paper plates can also be used in a creative manner by your kids. Your kids will need two paper plates for creating this design. Make large holes in the center of these paper plates. Make sure the holes are uniform. Decorate the plates with paint or ask your kids to use interesting design items like sparkles. Staple these two plates in such a manner that these hold together. Your kids will love getting messy with these colors. Get some colors and make your kids dip their hands in the same. 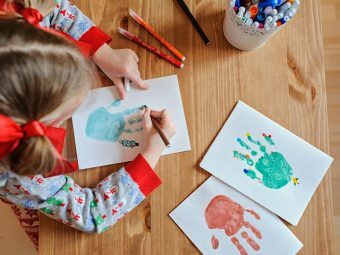 Overlap hand prints in different colors on a paper sheet. Your kid can paint the flower stems with the help of a paint brush. Ask your kid to cut out the shape of grass from a green paper and stick it on the paper with the impression of handmade flowers. Try out these creative & easy summer craft ideas for kids this summer and watch the magic unfold. 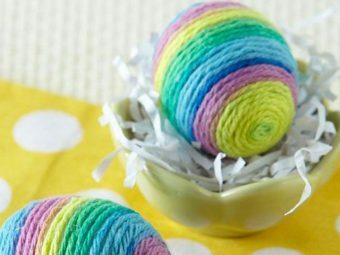 If you have some more fun ideas for craft activities this summer, do let us know!